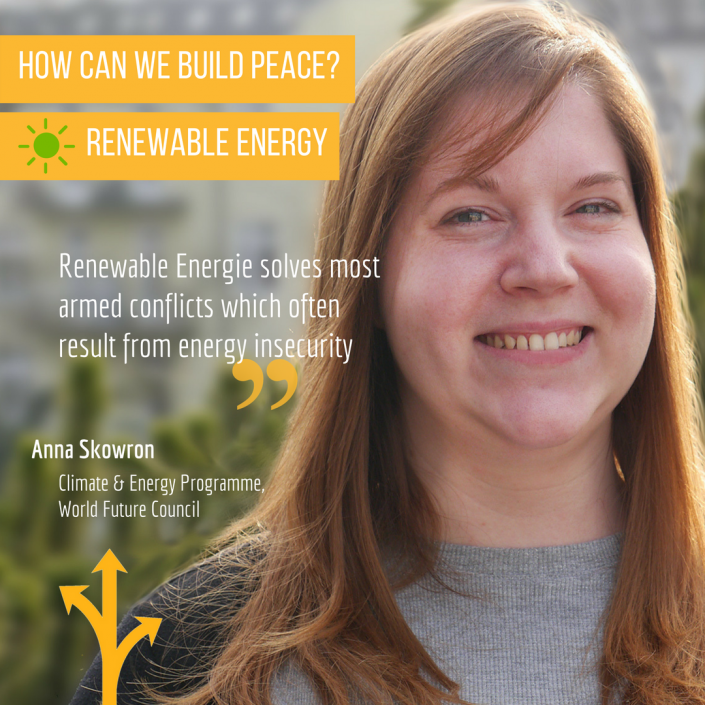 https://www.worldfuturecouncil.org/wp-content/uploads/2018/09/UN-PEACE-DAY.png 512 1024 Miriam Petersen https://www.worldfuturecouncil.org/wp-content/uploads/2019/04/wfc-logo-en-without-band-website-bigger-1-300x115.png Miriam Petersen2018-09-19 16:28:452018-09-21 16:26:40How can we build Peace? 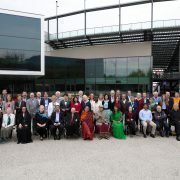 Every five years, the Councillors and Honorary Councillors of the World Future Council are being elected. This year it was election time again and there are some changes to our council. 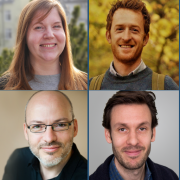 We are delighted to welcome four new Councillors, one new WFC Ambassador and a new member of the WFC Supervisory Board. 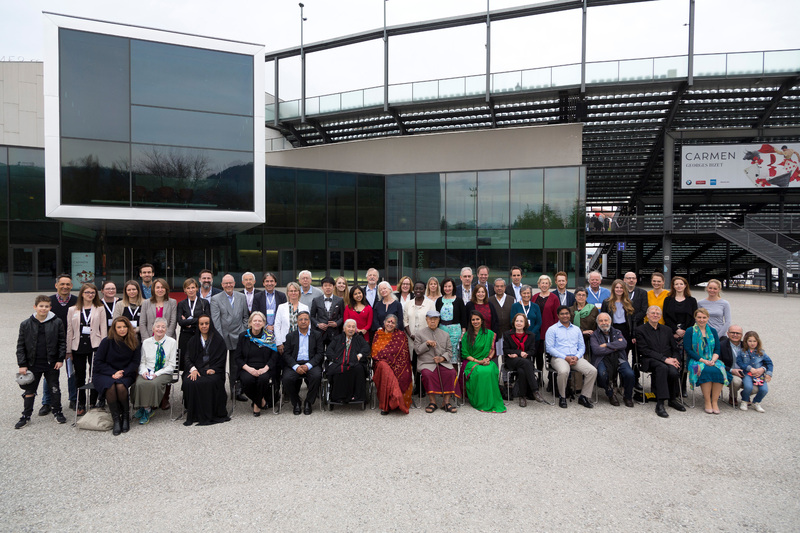 At the same time, we would like to thank those who are now leaving the World Future Council for their successful and inspiring work and for their commitment to the mission of the World Future Council. The new Councillor Victoria Tauli-Corpuz is UN Special Rapporteur on the Rights of Indigenous People. The activist and human rights advocate has been campaigning for the rights of indigenous peoples and women’s rights since the 1970s. Pauline Tangiora has been the expert for the topic so far. She now will serve as Honorary Councillor. Charlotte Aubin was also elected Councilor of the WFC. Charlotte is an entrepreneur and founder of GreenWish Partners and the GreenWish Foundation. The Foundation’s main objective is to foster and support social initiatives and solar electrification programmes such as schools and hospitals in rural areas, mainly in Africa. Moreover, Helmy Abouleish will from now on serve as Councilor. Helmy Abouleish is managing director of the SEKEM Initiative in Egypt, founded by his father Ibrahim Abouleish founded in 1977. SEKEM and Ibrahim Abouleish received the Alternative Nobel Prize (Right Livelihood Award) in 2003. For years, Helmy Abouleish has been involved in national and international policies on responsible competition, social entrepreneurship and worked towards combating climate change and hunger. With Neshan Gunasekera, a lawyer and educationist complements the Council. Neshan was the former Director (2007-2012) of the Centre set up by late Judge C.G. Weeramantry. Neshan advises many international organizations. He is committed to bring communities together for environmental protection, healing and conservation through the use of intergenerational, holistic and experiential learning. The World Future Council was able to win over Gerhard Stübe as a new ambassador. Stübe is head of the Festspielhaus Bregenz, where the annual meeting of the WFC Council members took place in 2017. Sustainability of events is at the centre of his work. Tina Stridde will be joining the Supervisory Board of the World Future Council with immediate effect. She is also managing director of the Aid by Trade Foundation, an umbrella organization of the Cotton Made in Africa Initiative. 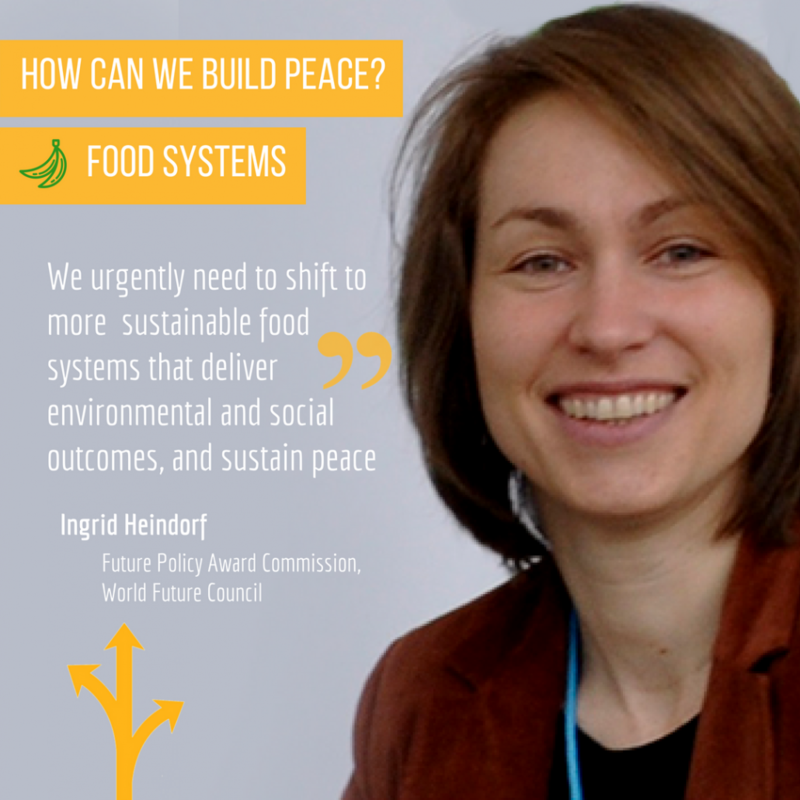 We are confident that with her commitment and focus on sustainable consumption and global value chains, she fits perfectly with the WFC. 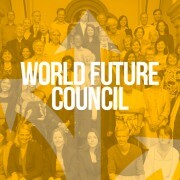 We would like to welcome everybody to the World Future Council. We look forward to a good cooperation and to the input of these interesting people. On 4 September 2017, a charity concert will take place in the Kammermusiksaal of the Berliner Philharmonie in order to support the World Future Council. Before the concert, a round table discussion will take place at 6 pm in the lounge of the Kammermusiksaal, with Jakob von Uexkull, founder of the World Future Council, and Dr. Peter Hauber, IPPNW Concerts, moderated by Gerhard Forck, Head of the Philharmonie’s Communications Department. The concert will begin at 7 pm, with a welcome speech by Jakob von Uexkull. After the concert, the audience is invited to join a reception in the lounge of the Kammermusiksaal. 4 September 2017, 7 pm. Doors open at 6 pm. 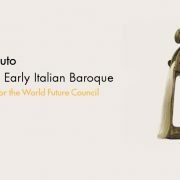 Claudio Monteverdi’s contemporaries, pupils and successors in spirit assemble here to perform virtuoso works with and without vocal accompaniment. Salomone Rossi, named “Hebreo” due to his Jewish origins, was one of Monteverdi’s colleagues in Mantua. His instrumental works, as well as his many-part compositions for a reformed synagogue service, which he published under the title “Songs of Solomon”, were pioneering pieces of music. Luigi Rosso and Antonio Sartorio, who were one to two generations later than Monteverdi, are just two examples of the stimulating history of reception of Monteverdi’s “Orfeo” on later composers. Francesco Cavalli was summoned by Monteverdi to his court chapel at San Marco in Venice; first as a boy soprano, then as a tenor, he soon became the most famous opera composer of his generation after Monteverdi. Marco Uccellini’s musical-theatrical works have not survived; but his instrumental works, which are virtuoso in their demands, have an original use of form, survived. Alessandro Stradella extravagances in art, both vocal and instrumental, corresponded to escapism from life. We, the World Future Council commit to take action for systems change. 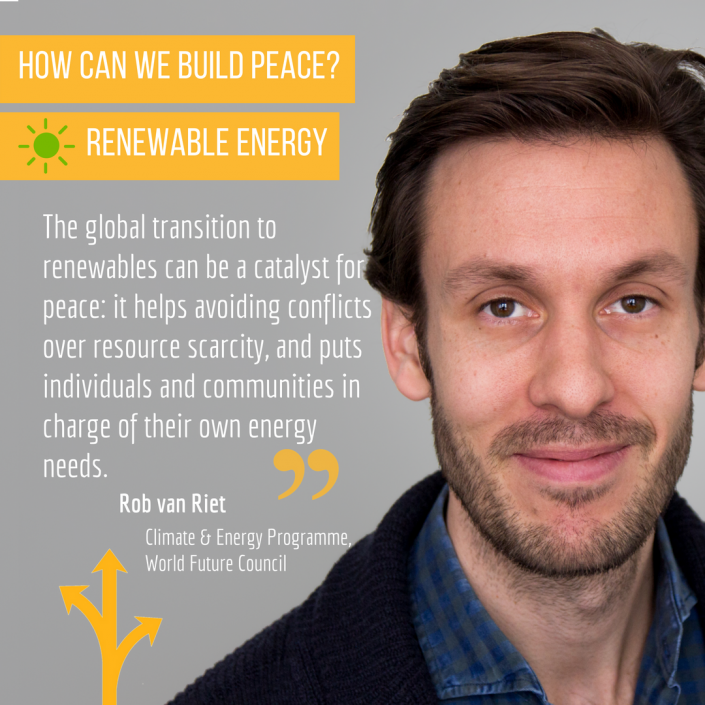 We commit ourselves to support the regeneration of our societies, our economies, our agriculture, our cities, our humanity and our Mother Earth, at this fragile moment in time when systems are disintegrating and degenerating. 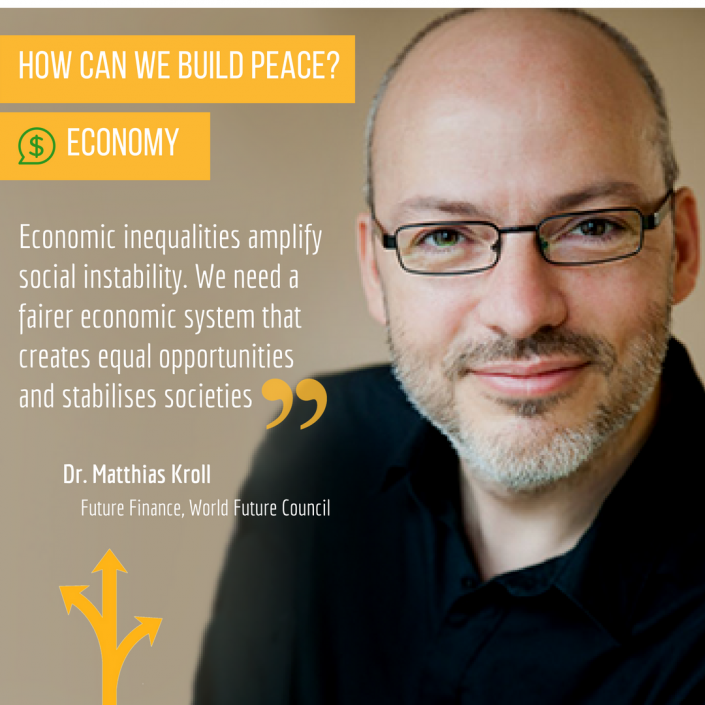 Today, everyone’s actions – and failures to act – can decide the future of humanity. 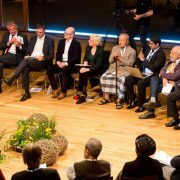 From March 30th – April 2nd, more than 50 Councillors, Ambassadors and members of the Supervisory Board will convene at the World Future Forum 2017 “10 Years World Future Council: Best Policies for Future Generations”, which will take place in Bregenz, Austria, with the generous support of the Festival House Bregenz and their partners. 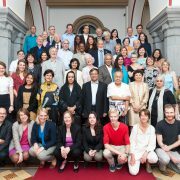 The World Future Council is deeply saddened by the loss of founding member and Honorary Councillor, Judge C.G. Weeramantry who passed away in Colombo, Sri Lanka on 5 January 2017. Judge Weeramantry was a Judge of the International Court of Justice (ICJ) from 1991 to 2000, serving as its Vice-President from 1997 to 2000 and a Judge of the Supreme Court of Sri Lanka from 1967 to 1972. During his time as an ICJ judge, Weeramantry contributed to several landmark cases before the Court. These included a case on the illegality of the use and threat to use of nuclear weapons where he shared remarkable and poignant observations, and the case concerning the Gabcikovo-Nagymaros project which contributed to the furtherance of international sustainable development law. 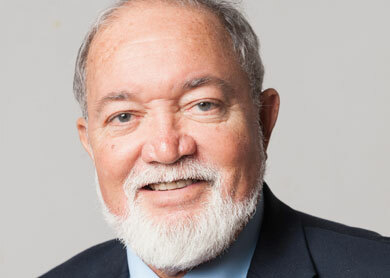 In the course of his professional career of over five decades as lawyer, legal educator, domestic judge, international judge, author and lecturer, Judge Weeramantry played a leading role in several developing areas of the law. 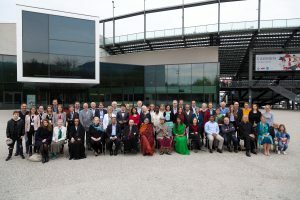 These included the illegality of nuclear weapons, sustainable development, rights of future generations, exploring the interface areas between law and religion and promoting cross cultural understanding. He was also a passionate advocate of peace education which he believed should include teaching principles of international law at an early age. He has written over twenty books, most of them extremely influential and translated into many languages, and lectured extensively on these topics in over forty countries. His book, ‘Nuclear Weapons and Scientific Responsibility’ pioneered the concept of ethics in science, challenged the notion that science is neutral, and introduced the idea of a ‘Hippocratic oath’ for scientists. His book ‘Tread Lightly on the Earth’ offers a pronounced insight and analysis of the concerns of the world’s principal religions with the preservation and nurturing of the natural environment. After stepping down from the ICJ, Weeramantry took up the position of President of the International Association of Lawyers Against Nuclear Arms, and continued advancing the application of international law for the benefit of peace and humanity in his new position. This included drafting, and presenting to the UN Security Council a seminal statement on the illegality of the preventive use of force, endorsed by over 200 prominent judges, legal scholars and lawyers from around the world. As IALANA President he also penned an influential public statement, in the wake of the Fukushima disaster, on the application of future justice principles to nuclear energy – in order to highlight its illegality and stupidity. The Judge was founding Chair of the Centre for International Sustainable Development Law’s International Commission, and then, for 16 years, Patron‎ of the Centre, which is based at McGill University in Montreal, Cambridge University, the University of Nairobi, and the University of Chile. Weeramantry also founded the Weeramantry International Centre for Peace Education and Research which produced a vast corpus of research and writing based on Weeramantry’s legal knowledge and philosophy for humanity. 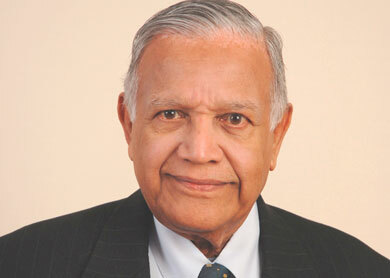 Judge Weeramantry received a number of prestigious awards including the Sri Lankabhimanya (highest National Honour of Sri Lanka), Right Livelihood Award (‘Alternative Nobel Peace Prize’) and the UNESCO Peace Education Prize, which he received in recognition of his commitment and concrete undertakings in support of the concept and culture of peace through his career. With this letter our heartfelt condolences go out to his family. Judge C.G. Weeramantry will be missed as a friend as well as a moral authority. 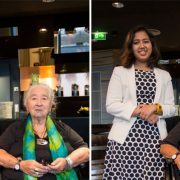 Two women, one mission: Our Councillor Pauline Tangiora and our Youth Ambassador Kehkashan Basu are two inspirational women working to make the world a better place. As a Maori elder, Pauline has been a respected advocate for the environment and indigenous issues for decades in her native New Zealand. 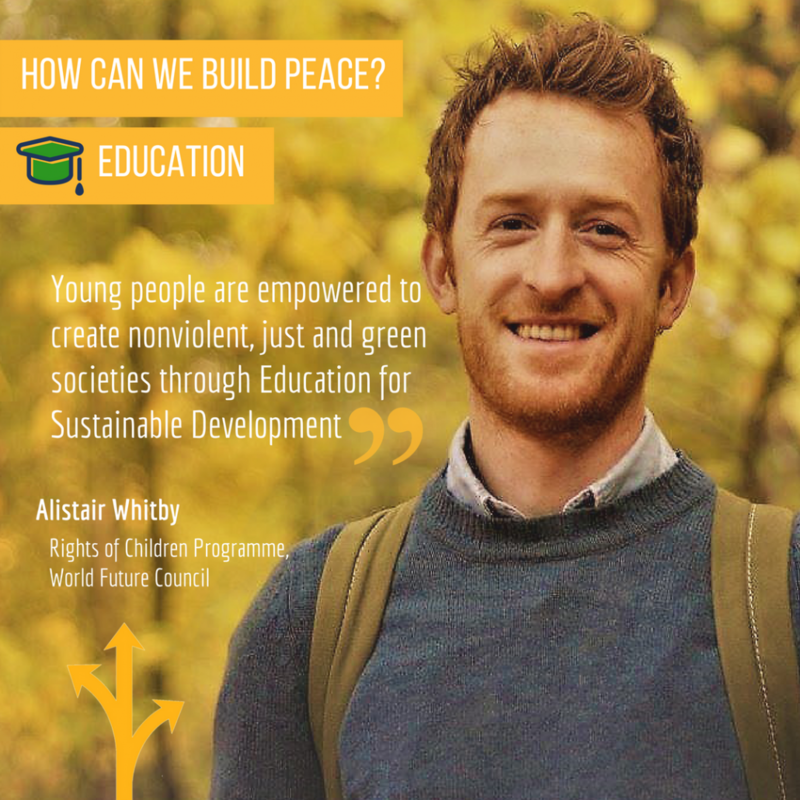 Kehkashan is an Indian-born, devoted youth activist living in the United Arab Emirates, frequently travelling across the world to mobilise other young people in the movement for a green future. During our Annual General Meeting in Hamburg, the two women provided us with an insight into their lives, their work and hopes for the WFC and made one thing clear: You don’t need to become a full-time activist travelling the world to make a difference – change starts at home. Kehkashan: Everybody can start by practising a sustainable lifestyle in the simplest way possible, just trying to think about the environmental impacts of everyday activities. If people choose to learn more about sustainability and spread awareness, a lot of things can be done. This also means that people need to respect the rights of others and take their views and opinions seriously. Pauline: People need to respect each other. That is the first thing we need to teach our children: To respect ourselves and those around us. It is also important that children are respected by the adults around them. And your actions will probably depend on the environment you live in. I live in a rural area and we have to catch our water and save it. So, everybody could contribute by putting a tank up by their house to catch the rain water. When children come to my house, they don’t turn taps on just like that because they know that water is the life and power of humanity. Kehkashan: In 2012, I started my youth organisation called “Green Hope”, which has the objective to carry forward the legacy of sustainable development and green economy by involving the children and youth of my region and also worldwide. We conduct conferences, workshops and academies to educate young people about what they can do to get involved in the sustainable development agenda and how they can spread awareness in their communities. But we don’t just talk about it. We also run small community projects so they can learn by doing. And we spread awareness through music, art, dance and drama because we feel the message is passed on easier that way. Pauline: Personally, I wouldn’t even call it work. I walk alongside, especially alongside young people. I enjoy hearing their thoughts and ideas – and they listen to mine. I think in such conversations, young and old people can define the problems in the world very clearly. People from my generation should remember that we don’t have all the wisdom just because we are older. We should talk with young people to learn what they want and what they think the future will bring. If we don’t do that, we lose something. Do you think that women or men are more concerned about the environment or more sensitive towards sustainability issues? Kehkashan: I think it really depends on the person and I don’t think it’s gender-specific. I am talking from personal experience. My group has an equal number of guys and girls who are equally passionate about what we do. So I think it really depends on the person as a whole and not their gender. 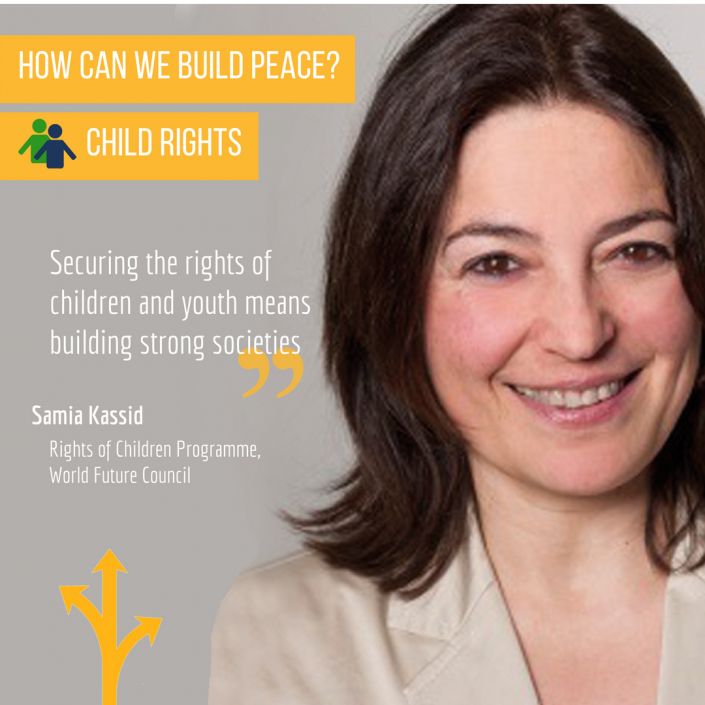 The Rights of Children commission is doing a really great job to secure the rights of children through national policies and legislation, for example to increase child participation and environmental literacy. What are your expectations of or hopes for the WFC? Kehkashan: The Rights of Children commission is doing a really great job to secure the rights of children through national policies and legislation, for example to increase child participation and environmental literacy. I think continuing this work and involving more young people is going to make a big difference in the world. Pauline: The WFC has a very important role to play in the world, as it is not just working to change things but to actively make them better. And that is important, as you can’t just say “we have to change something”; you have to make things better through concrete action. Kehkashan: When I started getting involved in sustainable development I was 8 years old. When I was 12, I started my own organisation and I think that was a huge changing point in my life because I learnt that working with others is so much more enjoyable. We can do so much more together to get our voice heard – much more than when we work alone. Our voices together have a much greater impact on society; it is a better way to spread our message. I often meet people who think we young people cannot make a change, just because of our age! But now, I think our voices have really been heard and we have been able to convince people that the opposite is true. Pauline: I am trying to represent the views and the concerns of the indigenous people. I am a lonely voice for them. It’s my belief that many people don’t understand the desperate needs of indigenous people worldwide. We had 500 years of colonisation in the Americas, 250 years of colonisation in Australia and 175 without sovereignty of New Zealand. So, where do we start and where do we finish? The indigenous peoples are not asking for much although they have lost their lands, rivers and forest – which is still happening today, for example in the Amazon. So while colonisation is still continuing in this day and age, where is the public in the world looking at? But there are some positive developments. We had no fish in our river, we had nothing. Still, the local people made an agreement with the government department of conservation and since then, they have been working together to fence off our fish. Now, even visitors want to walk up there to see it. Indigenous people still have the knowledge, still have their way of doing things. Many of us grew up with a basic understanding of the water, the sky, the storms and the sunshine. Sometimes I feel very sad that many people don’t understand that, don’t see that. We have a lot to offer. Last weekend the CEO of Nasdaq complained in the Wall Street Journal about ‘The Overblown Brexit Market Panic’. Repeating the absurdity that the vote has created an “independent Britain”, as if the EU is a colonial power, he assured readers that “over the next two years, the timeline for EU withdrawal, Britain has an opportunity to become a trading magnet”. It is rare to find so many errors and misunderstandings in such a short space. First, there is no panic because there has been no Brexit, only a non-binding referendum. This generated a small pro-Leave majority, which – according to numerous polls since – would not be repeated today. Britain is a representative democracy with a sovereign parliament which chose to make this referendum non-binding. The Prime Minister who promised to implement it has since resigned. While the House of Commons could find strong reasons to ignore the vote, they will not (yet) dare to do so because of the fanaticism of the Brexiteers. Thus, Dominic Lawson, a columnist in the ‘Sunday Times’ has claimed (July 3rd), that ignoring the vote would cause such anger that “we could see tanks on the streets”. So what is the most likely outcome? 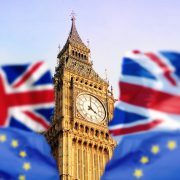 Will the British Parliament pass Brexit legislation, which most of its members do not believe in? The current House of Commons has a large pro-EU majority and it is unlikely that this will change after the next election. So for now, it is likely that the process of the UK leaving the EU will go ahead, despite the growing opposition. Over 1000 lawyers have called for an independent body to examine the consequences, followed by a parliamentary vote. While there is yet no panic, the Brexit insecurity is growing: “Sterling falls despite reassurance”, “Banks promise to boost lending to stop Britain falling into recession” (both headlines in the “Daily Telegraph”, July, 6th), and “Brexit vote may be the undoing of Italian Banks” (“City am”, July 6th). One of this paper’s columnists recommends that the UK adopts the cold war UN strategy of Stalin’s Foreign Minister Molotov and turns up at the EU Council of Ministers to “veto every proposal on any subject whatsoever, regardless of its merit”, until the EU agrees to Brexit negotiations before the UK has triggered the Article 50 exit clause. One can only imagine the animosity and harm this will cause. Already, xenophobic and racist incidents have surged in the UK since the referendum. The vote has also created new inter-generational conflicts. Most young Britons voted to remain in the EU and many are furious with parents and grand-parents for depriving them of their freedom to live and work in other European countries. So, as a result of holding this referendum at a time of strong anti-government feelings, and resentment against the privileged establishment after years of austerity, and promising to implement a non-binding vote come what may, the UK and EU now face many years of turmoil and disruption. At a time when many urgent issues — climate change, economic instability, terrorism, the refugee crisis, a resurgent Russia etc. — require the attention of European decision-makers, they will be busy unravelling the details of the UK’s EU membership and implementing alternatives. The simplest, guaranteeing continued full UK access to the EU market, would involve joining Norway and Iceland in the European Economic Area (EEA). Yet the UK will soon find that this involves accepting most EU laws and obligations — including free movement – but with no ability to influence them, and at equivalent financial costs for EU membership. The UK may believe it can get a special deal but this is very unlikely as the other members – who would all need to approve the outcome — would not want to create precedents. The more time elapses since the Brexit vote, the more likely it is that MPs will assert their primary duty to act in the best interests of their country. This will particularly be the case if Scotland moves towards independence and the peace in Northern Ireland is threatened by Brexit, which will necessitate border controls between N. Ireland and the Republic. In such a case it would be very surprising if MPs did not prioritize the peace and integrity of the UK above a non-binding vote taken years ago. So, while it is likely that Article 50 will be triggered to appease the Brexit fanatics, it is even more likely that it will later be rescinded, i.e. that the UK withdraws its application to leave in a few years time. International treaty law allows this. Of course, this would require reversing the complex legislative process, wasting more years and risking more vetos along the way. David Cameron’s foolishness and arrogance will cost his country and Europe dear.